Almost all the preparatory steps for the first round of UP elections are now over – the only thing that is still left is the actual polling on March 22. We cannot be certain about the environment that would prevail on election day and whether the voters would be able to freely go to the polling stations and cast their votes without fear. However, during the preparatory phase we experienced some undesirable practices, which may, we are afraid, severely hamper the UP elections. The first undesirable practice has to do with the major spread of what is called the mononayan banijya or 'nomination trade'. In our country, we have had nomination trade before, primarily in parliamentary elections. Stories of buying parliamentary nominations for millions of taka are common. Such allegations are against influential party leaders and are normally spread in the form of rumours, because no one has ever made any public accusation against anyone. Nevertheless, there is widespread public perception about its existence. 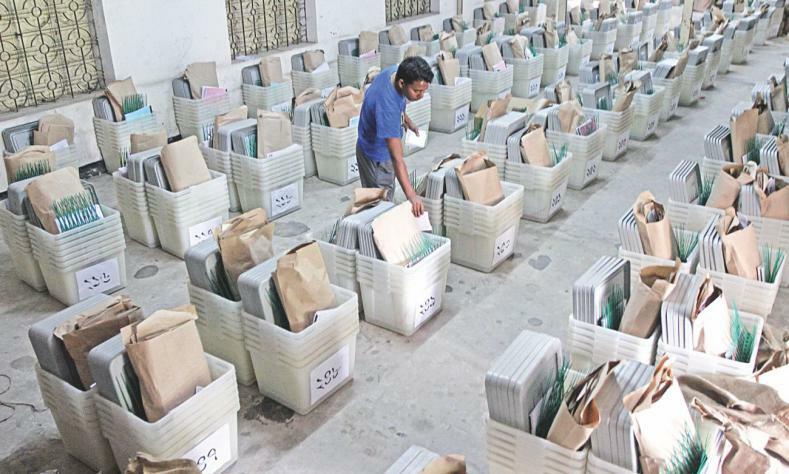 The nomination trade is alleged to have been more widespread in the present UP elections. However, such allegations are not made quietly or in the form of whispers, rather they are made loudly and against specific individuals (Jugantor, March 11, 2016). Newspapers frequently carry such stories. It is clear that politics has become profitable in our country. In fact, the spread of nomination trade has turned it into a unique sector of business. Unlike in normal businesses, it does not require any capital as such. The spread of such practices to the UP level further expanded its scope and empowered a new group of such 'businessmen' at the grassroots. We are afraid that like a contagious disease such practices will further spread in all spheres of our politics. The practice of buying votes for money from the grassroots to parliamentary elections has existed in our country for a long time. However, the spread of nomination trade has taken the role of money in our elections to a new level. We have now truly become the 'best democracy money can buy,' reflecting the degeneration of our politics. Another undesirable aspect of the present UP elections is the return of the use of muscle power and violence. Again, the use of muscle power and violence in elections is not new in our country, which usually happens in and around the election day. We were successful in eradicating violence from our elections and there was not a single instance of death in elections held between 2008 and 2013. However, muscle power and violence have returned, beginning from the parliamentary elections of January 5, 2014. Unfortunately it has reached a dangerous level in the present UP elections. So far over 500 people have been reportedly injured and at least five persons lost their lives during the UP elections (Bangladesh Protidin, March 12, 2016). Such violence started long before the election date, and we are concerned that it will get worse as the election day nears. A disturbing element in the present UP elections is the widespread intimidation of opposition candidates that has prevented them from filing nomination papers. BNP claims that in 83 Unions, ruling party activists prevented their candidates from filing nominations. Similar accusations are also made by some partners of the ruling alliance and the rebel candidates of the ruling party. Even those who could file their nomination papers are now complaining that they are facing various kinds of threats. For example, recently two chairmen candidates from the Moralganj Upazila of Bagerhat held press conferences to plead that they had enough of running for elections and they now want to be left alone so that they could live safely in their homes with their families (Manabzamin, 12 March 2016). This year's violence is primarily within the ruling party – between their nominated candidates and rebel candidates. This is primarily because in the present environment of a tilted playing field getting the ruling party nomination almost guarantees a 'win' on the election day. That is why we see such pervasive nomination trade and violent conflicts. Needless to say that the ruling party has more to lose from these excesses. Because of the widespread threats, harassments and prevention to submit nomination papers by opposition party and rebel candidates, 62 chairmen candidates from the ruling party were elected unopposed in the first phase, which is unprecedented. 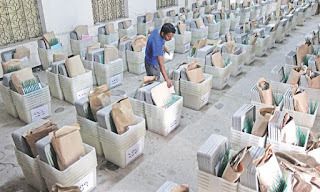 Unfortunately filing complaints about the irregularities and electoral offences to the Election Commission brought no remedy (Prothom Alo, 12 March 2012). It goes without saying that behind all the above anomalies lies the decision to hold election of UP chairmen using party symbols. It appears that the decision was made without thinking through the consequences, especially paying heed to the warnings of the experts and taking into account our prevailing political culture of trying to capture power and hanging onto it at any cost. Prior to making the decision the process of nominating the candidates was not clearly spelled out, resulting in the present anarchy. For example, although the directives issued by the ruling party allowed no role for the MPs in the nomination process, yet in many cases they made the final decision. In the absence of hard and fast rules, in many cases committed party activists were deprived and undesirable candidates were nominated. Sometimes the cronies or the relatives of party bosses were nominated. Incidentally, the RPO specifies a clear process of nomination, although in our 'anything-goes' political culture the politicians have been ignoring it. It seems from all this that there is a high probability that the UP elections will be flawed, which will compromise the credibility of our electoral system. The democratic process breaks down when the process of peaceful transfer of power through fair elections is thwarted and the citizens lose confidence in elections and do not care to vote. Such a situation is likely to have dire consequences. As Justice Badrul Haider Chowdhury, in AFM Shah Alam v. Mujibur Rahman [41DLR(AD)(1989)], warned us, 'perverse election or voter-less election destroys democracy'.